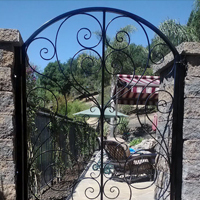 Wrought Iron Gate Experts: Our iron gates, doors, railings, and ornamental furniture is your one stop shop for superior wrought iron craftsmanship, quality iron materials, knowledgeable staff, timely installation and excellence you can count on. 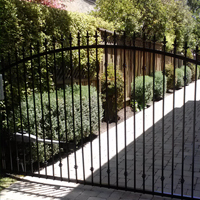 We specialize in custom wrought iron gates and everything in between for the San Francisco area! Please browse our Wrought Iron Gate Gallery and see beautiful wrought iron pieces like you never have before. Anything you can imagine we can make a reality, whether you budget is big or small nobody takes care of you like we do. 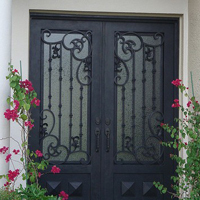 Wrought Iron Gates: Our wrought iron masterpieces are all skillfully hand crafted and of the utmost excellent quality. The San Francisco wrought iron professionals have the right wrought iron decor for you! 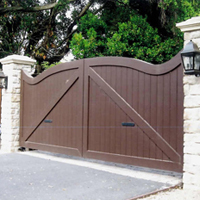 We offer Driveway Gates, Community Entrance Gates, Wrought Iron Gates, Garden Gates, Landscape Gates, Pool Gates, Backyard Gates, and many more styles of Wrought Iron Gates. 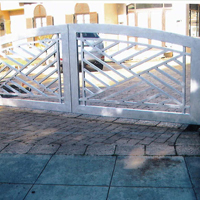 Driveway Gates and Access Gates: For custom gates, decorative, ornamental driveway gates in wrought Iron or aluminum we have one of the Largest Selections of iron San Francisco gates . We also offer a huge selection of colors to choose from. We design out gates to match our fences and fencing to match your entire landscape. Call Wrought Iron Experts today to see how a ornamental driveway gate can better fit your landscape design. 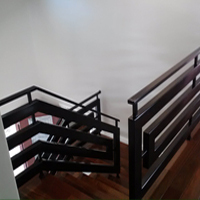 Wrought Iron Fences/ Fencing: Our wrought iron fence is made to match our driveway gates and garden Gates. All our pool fence includes spring loaded hinges for self closing for the required Child safety code witch Includes the magnetic safety latch. 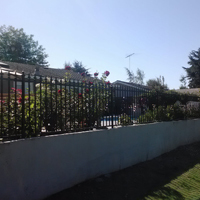 King of the San Francisco ornamental Iron Industry, Wrought Iron Experts is here for you and all of your San Francisco ornamental iron fence needs.